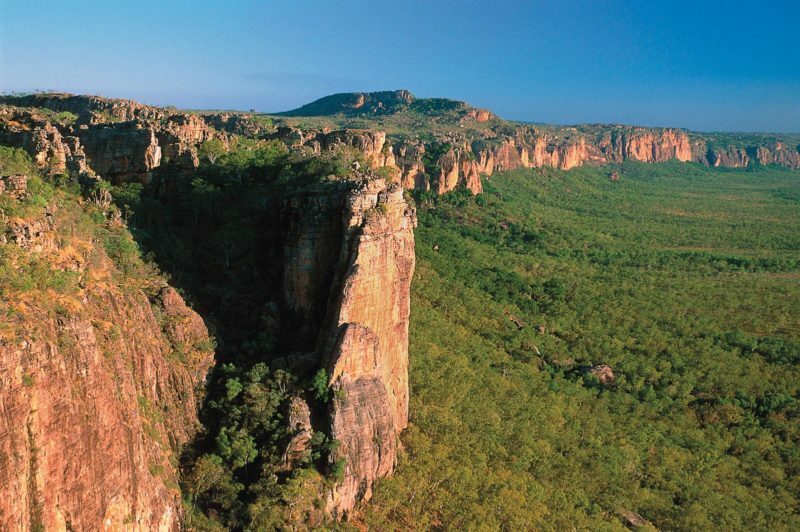 Explore the ancient landscapes of Finke Gorge National Park, 140 kilometres west of Alice Springs. Walk into valleys of rare plants, or follow a popular four-wheel drive route. The 46,000 hectare park protects the desert oasis Palm Valley, home to a diverse range of rare and unique plant species. 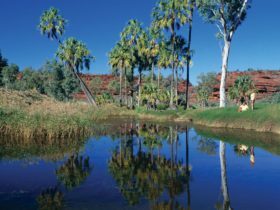 Those plants include the Red Cabbage Palm, which is only found here – botanic remnants from millions of years ago, when Central Australia was lush with tropical forests. 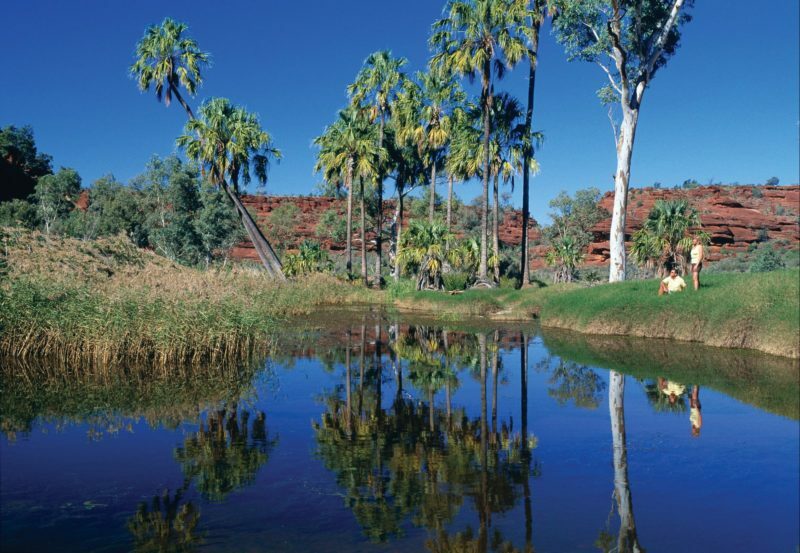 The Finke River is claimed to be one of the oldest in the world, with areas dating back 350 million years. For experienced four-wheel drivers, the popular Finke drive route is an adventurous drive down the Finke River to Illamurta Springs Conservation Reserve and Watarrka National Park. The park and nearby areas are significant to the Western Arrernte Aboriginal people and there is also evidence of early European settlement. Follow one of the marked trails short distances to survey the area from lookouts, or to find out more about the mythology of the Western Arrernte Aboriginal culture. Pitch a tent in the campground – toilets, showers and gas barbecues are provided and fees apply.